A brand image is necessary to setting your vacation rental apart from the rest of the pack. This image carries through to your logo, website, business cards and letterhead and is used for guest stationary and amenity soaps and shampoos. 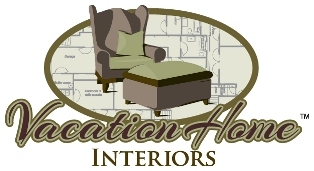 Vacation Home Interiors has become experts in setting up a vacation home for rental. We can furnish an empty home to fully furnished in 6 weeks. We have many satisfied clients that have turned that second home into a money maker. Builders contact us today as we can furnish your homes that are not selling and off set your construction loans with vacation rental income. For an average 3 bedroom 2 bathrooms 2,000 square foot home our packages start at $25,000. We can also cater a turnkey package around our clients’ needs. We can furnish an entire house or just one room. Our Vacation Home Turn-key Package is designed to help with a full set up from scratch. This package is designed for full set up of a 3 bedroom 2 Bath approximately 1,500 sq. foot home for smaller or larger project please contact us for a quote. Today 99% of all renters are looking for vacation rentals on line. When you have your own website this allows you to provide more information to prospective guests. Our website development package includes the domain name and five simple Web Pages. The interior design and décor accents are one of the most important aspects of any successful vacation rental. Renters will decide to send inquiries based on the photographs that are shown of your vacation rental property. We can help you to create a design that will have the “Wow” impact which will encourage interest in your property. We can design a package to fit your budget and can work on a room-by-room basis. By utilizing our design services you can save thousands of dollars as we purchase furniture and furnishings at wholesale and only charge a 25% mark-up to our clients. In most cases we can provide much better pricing than buying from a retail establishment as we do not have the overhead to contend with and pass the savings on to our clients.